When the financial markets are in flux, as we saw earlier in this month, the good old standby of liquid commodities such as gold and silver rise as investors fear devaluation of paper currency. This amounts to scooping up large quantities of gold and silver. Subsequently removing and hoarding it against any financial instability. Recently, the Asian markets have felt jittery with the economic slowdown in China and the result has been scooping up gold and silver from the marketplace. What does this mean to the fashionista? Expect to pay more for jewelry made of these precious materials and jewelers and designers to use less and less of the real stuff and more of the gold/silver “embraced™ bronze.” In essence a coating to give the appearance of solid gold or silver. 30,000 people die from influenza in the U.S. and they call it a pandemic. 30,000 people die from ALS and they call it an orphan disease. Feeling good about the ALS Bucket Challenge? Well, you should—-and you shouldn’t. That historic amount raised for ALS is greatly needed money for research, but it doesn’t go into treatment. Patients must fight everyday to live, struggling each day to hang on, waiting, hoping… For some eating, speaking, even breathing on your own becomes a luxury. Quality medical care, necessary to remain alive while the cure or any significant treatment goes through the scientific hoops of clinical trials, becomes impossible to find, to coordinate, and in the case of Cheryl Sweeney, downright dangerous (see previous post). The disease progresses very fast at times and patients soon find that they are in a medical subclass, too advanced to participate in potential life-saving clinical trials—-for them, it is denied. Cheryl Sweeney, like other ALS patients, finds herself in such a situation. The struggle plays upon her mind, the cost of finding qualified care, the problems of scheduling care 24 hours around-the-clock, the stress and toll on family members, feelings of dependency, and the limitations of her body—all creating a sense of despair that can be seen in her eyes and in the limited conveyance of words by her on a computer. She is one of many in the U.S. and around the world in this position. Some are doing better, like Stephen Hawking whose celebrity makes available resources that most with this disease do not have access to; some are doing worse in countries where medical resources and equipment are more limited than in the U.S. But what good are advanced and sophisticated medical equipment, breakthroughs in medical research, and the most talented physicians and researchers if you don’t have access to them? 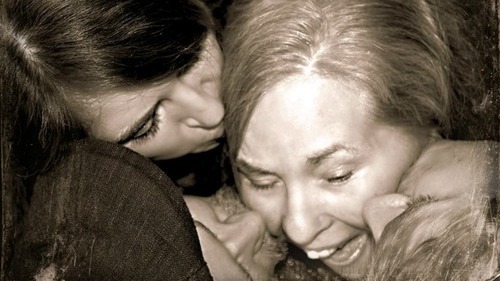 However, Cheryl does have something as powerful—a loving family and loyal friends who won’t give up on her and other ALS patients facing this predicament . And now there is real hope, there is the means for inclusion and extension of a breakthrough medical treatment for her and other ALS late stage patients from stem cell treatment with NurOwn(tm) by Brainstorm Cell Therapeutics. However, because she and others are late stage ALS patients, this is not an option. So close and, yet so far. But, through the social media, you can help them to gain expanded access to this life-saving treatment. You can support her and others like her by signing the petition to include them in this new treatment at change.org. When could you with just a click, taking only a second, possibly save so many lives? Do it right now. Do it for Cheryl. Do it for all ALS patients! This month CNN reported that common household items may cause lower IQ’s in children. Researches at Columbia have found that a plasticides found in food storage containers, toiletries, laundry products and, yes, even dolls .lower IQ’s in children significantly. Phthalates have been banned in children’s toys , products and in cosmetics in Europe for some time and now researchers are recommending pregnant women also should limit their exposure and should use glass containers instead of plastic for cooking in microwaves. Vintage designs of bygone eras are often recycled by fashion designers. With the retro look, consumers have been able to shop the thrift stores, vintage clothing stores, and even tag sales to get that chic old is new again at bargain prices. Acrylic is not a natural product, but one produced by combinations of chemicals. First produced in the 1940’s by DuPont under the name Orlan, acrylic is a polycrylonitriles, a possible carcinogen. Acrylic in apparel is often used as a substitute for wool especially for those who are allergic to wool, and is considered warm, soft, stain and wrinkle resistant, and takes and hold colors well. 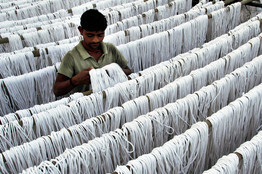 In 2013, India, a producer of the world’s least expensive cotton, sought to raise its’ price by placing a cap on the production and export of cotton. This fueled a price hike that sent the fashion world scurrying since it required manufacturers to buy cotton at higher rates. 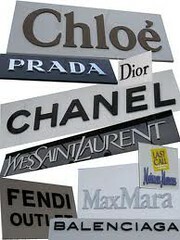 From that date, many items in the fashion industry began selling designs blended with acrylic, or totally made with acrylic to keep their retail prices at a level acceptable to customers still dealing with the economic recession. Although acrylic produces an incredibly soft cloth widely used also as a substitute for cashmere, it does require quite a bit of care. Despite improvements, its’ surface is vulnerable to pilling and. wear. It is susceptible to heat, shrinkage and stretching, and to static. Be sure to remember, that this product is relatively inexpensive, more so than the natural organic sources of cloth, and when buying, prices should reflect that difference. Designers have been able to maintain lower prices to the consumer by using this substitute, and that is why MarkdownMom recommends only buying if you want it to last for a season or two and it’s at an incredible markdown. Otherwise, pay a little more for a sale item that is 100% organic. Summer customarily has been a time of plenty and ease when we treat ourselves to relaxation in the sun, lazy days, and all that wonderful fresh, seasonal food! Okay, so during this time of bounty, at the beginning of the harvest season, why are consumers paying more, but filling fewer grocery bags? Well, several factors are at play here and one represents a significant change by manufacturers of our food that has required a major investment by them in retooling their factories and may signify a continued slow economy for some time to come. Employing a merchandising trompe l’oeil, a fooling of the eye, manufacturers have kept prices down by reducing the contents of the individual item. Actually, this was done purposely to hide price increases since this is an inflationary action with the consumer paying the same or more, but getting less. Over time, this smaller sized product was incorporated into the inventory, but now every item stocked is the smaller size. MarkdownMom recently visited WalMart and the shelves are shockingly full, row by row, with these miniature cans. Additionally, packaged goods have reduced weights and less items included. For instance, the consumer will pay the same price for an item as before–a good deal, right? But instead of getting, 6 items in the package, there are only 4; instead of a dozen, there are 10. Do the math, that’s an inflationary rate over 10%. Meanwhile, the average consumers pay has stagnated after a steady decline beginning in the 1980’s. It’s hard to say when this incredible, edible shrinkage will stop. The only thing the consumer has in common with the food industry is that the $1 is worth less as well.